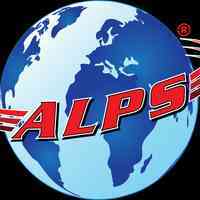 ALPS Global Logistics, a subsidiary of ALPS Holdings is a pre-eminent logistics Company in Singapore that handles logistics and shipping businesses since 2013. ALPS Global Logistics identifies its a need in the market for a personalized service that aim to suit the international logistics requirements and offers a broad spectrum of logistics services including Non-Vessel Operating Common Carrier (NVOCC) Consolidation, Full Container Load (FCL), Loose Container Load (LCL) ocean freight, airfreight, door-to-door service, customs brokage service, project shipments, 3rd party logistics, warehousing and island-wide distribution. ALPS Global Logistics also offers an inimitable advantage of providing a global network to our clients and agents, allowing our business partners to focus on delivering good service with a higher yield while moving ahead of the volatile market changes. Our mission is to optimize ease and cost saving for Small Medium Enterprises (SME) clients providing them with logistic solutions in order to build their businesses. Being a one-stop logistics solution centre, ALPS Global Logistics offers a complete range of logistical solutions to suit the high demand requirement of today’s importers and exporters. ALPS Global Logistics facilitate and value the needs of importers and exporters who expect quality information delivered with integrity and reliability. We encouraged our customers to concentrate on their core business and improve their market share while leaving the logistics of global transportation to us with confidence. We view ourselves as your shipping department within your organization and are 100% committed to handling our clients’ consignments. Competitive rates that will increase your profit margin! Web Design, Marketing & Other Services!